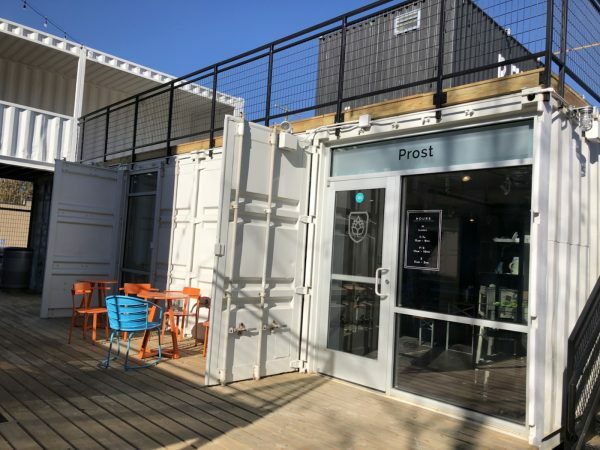 A return visit to Prost at Revolutsia: it just keeps getting better and better – Wichita By E.B. 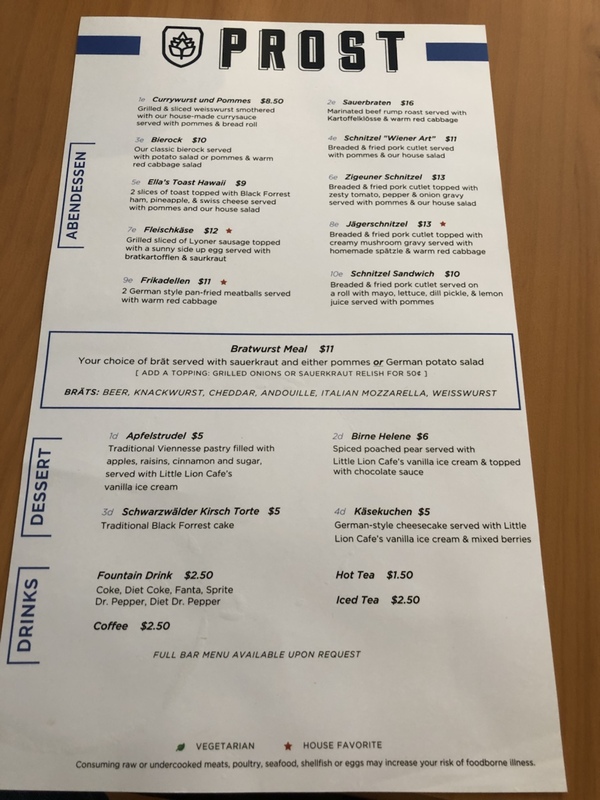 Late last year we wrote our first look at Prost, the authentic German restaurant located inside Revolutsia. Our first visit to Prost was very positive. Since then we had yet to return and decided now was a good a time as ever to finally give them a revisit and see whether they’ve been able to maintain that quality. We dropped in right as lunch was starting and were one of the first groups to arrive. Quickly the restaurant started to fill up. 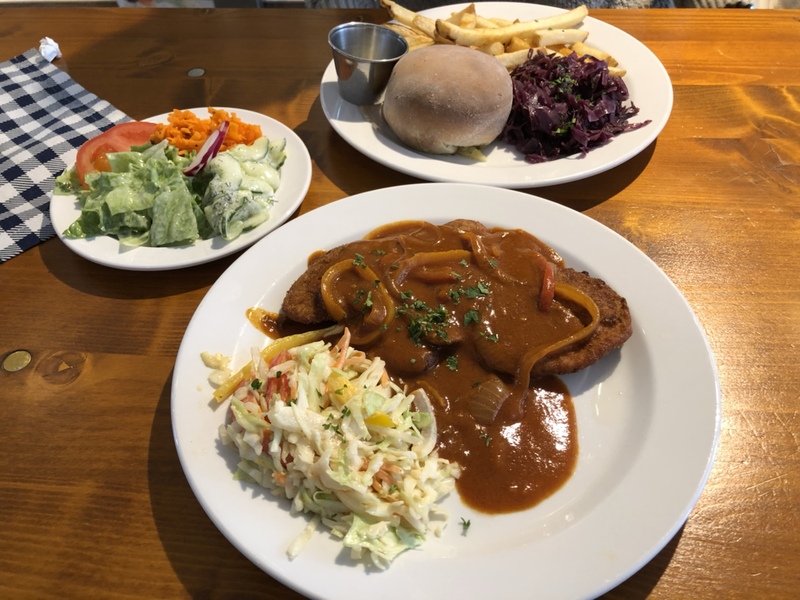 Since diners were starting to pour in, we quickly made our order and settled on a bierock and the zigeuner schnitzel which was a breaded & fried pork cutlet topped with zesty tomato, pepper & onion gravy served with pommes and their house salad. It didn’t take long at all for our food to arrive and everything smelled amazing. My girlfriend enjoyed her bierock. It was prepared exactly how you would expect a classic bierock to be. She’s not a fan of red cabbage salad so I did my gentlemanly duties and finished that off for her. 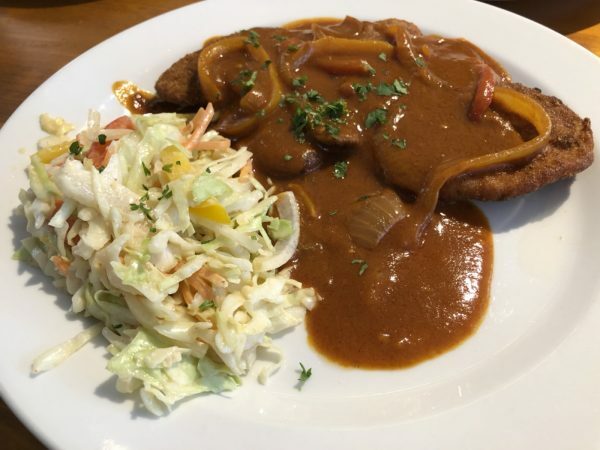 Readers should all turn their attention though to the zigeuner schnitzel. 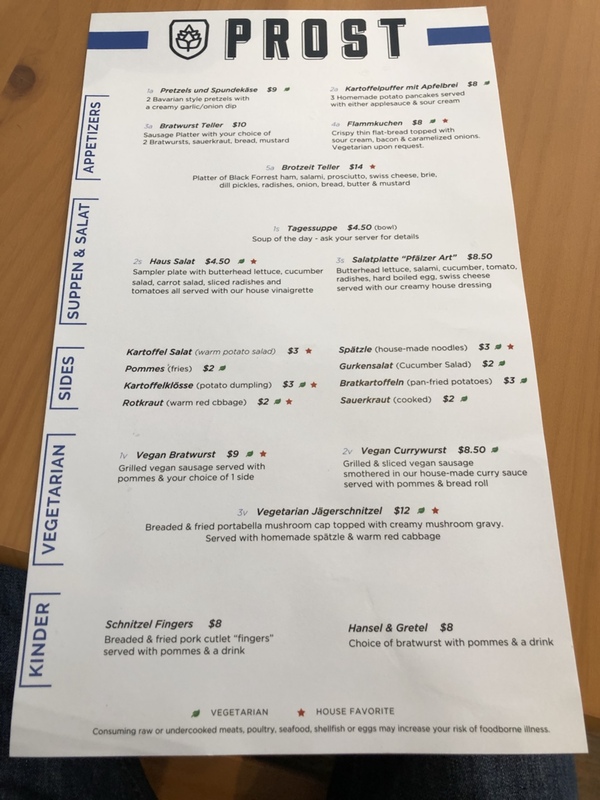 At the first bite, I knew immediately it was up there as one of the best meals I’ve had in Wichita this year. The pork cutlet was fried perfectly and tender with each bite. What brought the meal to an entire new level of awesomeness was the zesty tomato, pepper & onion gravy. It was full of intense delicious flavors that hit your palate with each bite. Absolutely zero complaints about the service, our server was beyond helpful and friendly. Delivery times for our meals were great and the food was amazing. It was one of those times where I had to immediately text my friends to let them know. Simply put, Prost did not lose a step and keeps getting better and better. okay, tip for when you next return – try the appetizer flammkuchen. It’s essentially German pizza, and it’s one of the best things I’ve ever put in my mouth. It’s flatbread, topped with sour cream, browned onions and bacon, and its apparently available during the “kitchen down” times of 2p-5p. 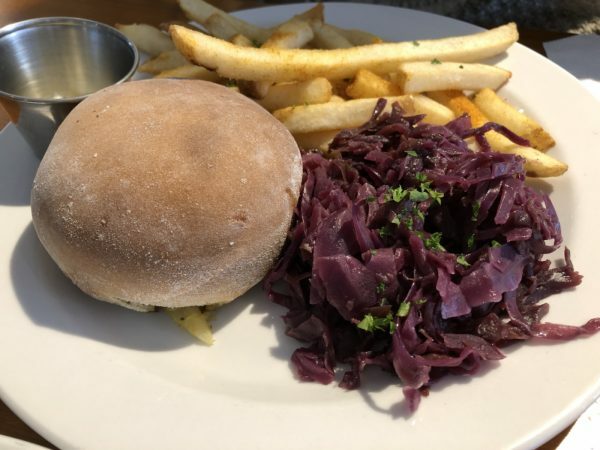 Also, their fleishkase with potatoes and kraut…best presentation of what is apparently German grilled bologna I’ve ever tasted.